A ute or panel van is as important to a tradie as their tools. What would be the impact on your business, or livelihood if your workhorse was out of action for several days? Having the right type of work vehicle insurance cover is important, which is why tradesman need be aware of potential caveats and policy exclusions that could leave them exposed should something happen to their work vehicle. While some providers offer generic insurance packages for tradies, you will want to look specifically at commercial vehicle cover. 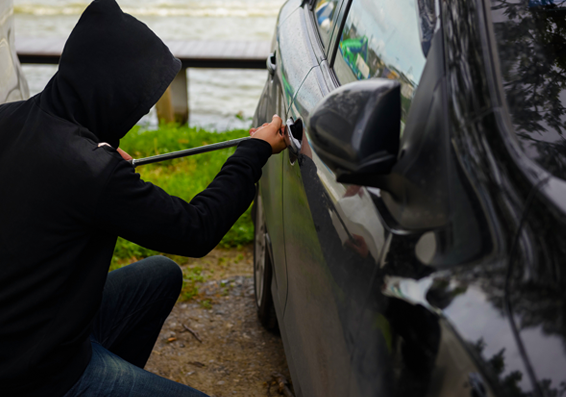 Damage or theft of vehicles owned or used by your business. This includes damages caused to third-party vehicles. Windscreen and window glass breakage. The cost associated with sourcing an alternative vehicle (i.e. hire car). A substitute or replacement vehicle when your vehicle is written-off or stolen. Every policy is different, but these are common exclusions from commercial vehicle cover. Accumulated damage such as rust and corrosion. Consequential loss (costs to your business as a result of the insured event). BRAVEday insurance adviser Kane Butler says it’s generally best to insure your work vehicles at an agreed value with your provider up-front. This means you know exactly what you’ll get come claim time. With a market value policy, the value of your vehicle (and claim payout) depreciates over time. While it can have lower premiums, it can also result in a nasty surprise at claim time. You want to make sure that your policy includes loss of use cover. This means that if your work vehicle is out of action because of an insured event, you will be covered for the costs of hiring a substitute vehicle for a specified time period. Kane says you should look at the excess payments for each area of your commercial vehicle policy to avoid any surprises. If you have apprentices or younger staff using work vehicles, pay special attention to underage excesses. As it’s common for trade business owners to buy new vehicles and sell old ones to keep the fleet fresh, it’s important to have an additions and deletions clause in your policy. This means that any additional vehicles you acquire during the period of insurance will automatically be covered under your policy (addition). If you sell a vehicle (deletion), it will automatically be removed from your policy. You will have to inform your provider and will be required to pay extra premiums or be entitled to a refund, depending on your balance of additions and deletions over your period of insurance. It’s also worth checking what the maximum value of any new addition can be as this can vary from policy to policy. As always, Kane says it’s best to consult an insurance adviser to ensure you’re getting the right cover for your business. Does your trade business have all its bases covered? It pays to check—and with our quick-check guide to tradie insurance, it's easy!